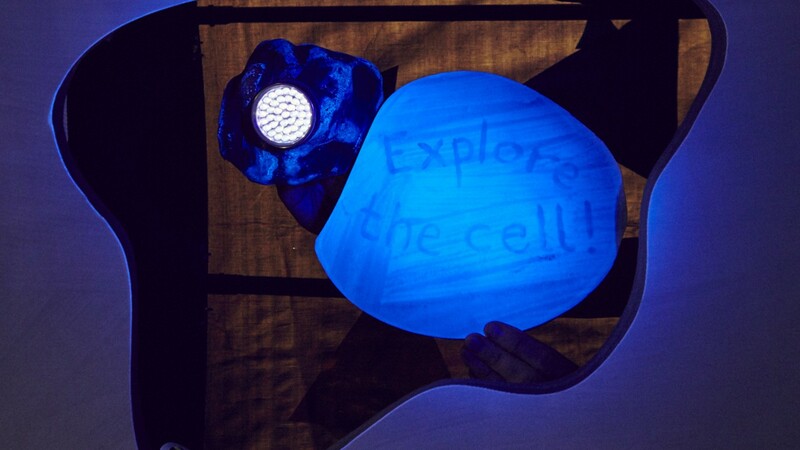 Experience the alien world of a cell: a weird, constantly transforming landscape of fascinating complex processes on a microscopic scale. 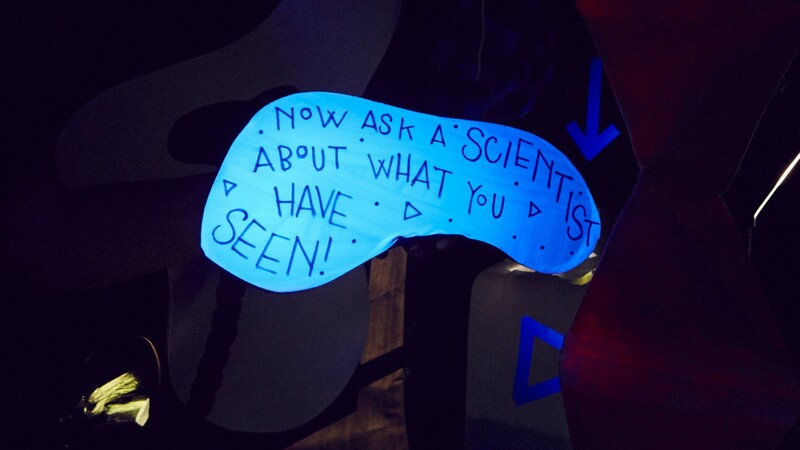 Journey through this bizarre environment then join cell biologists to uncover the secrets of life by measuring, modelling and manipulating the cell. 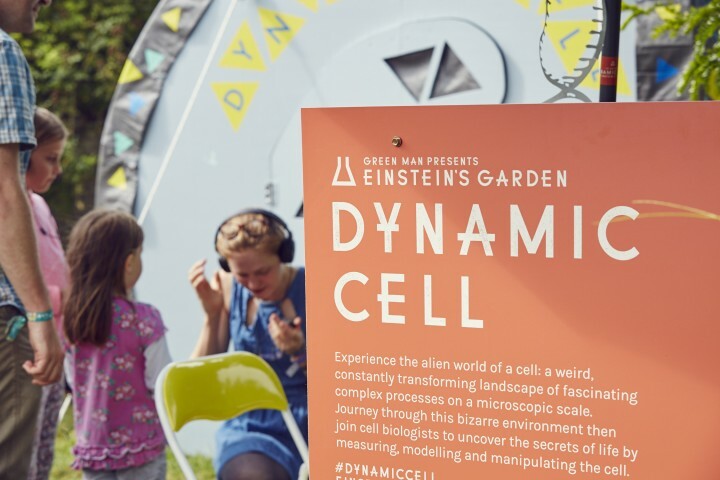 Dynamic Cell is an immersive experience exploring complex cellular processes that was first presented at Green Man 2016. 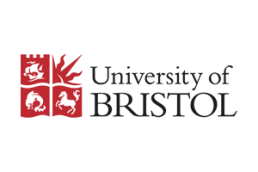 The project was developed by Einstein’s Garden in collaboration with scientists from the University of Bristol. 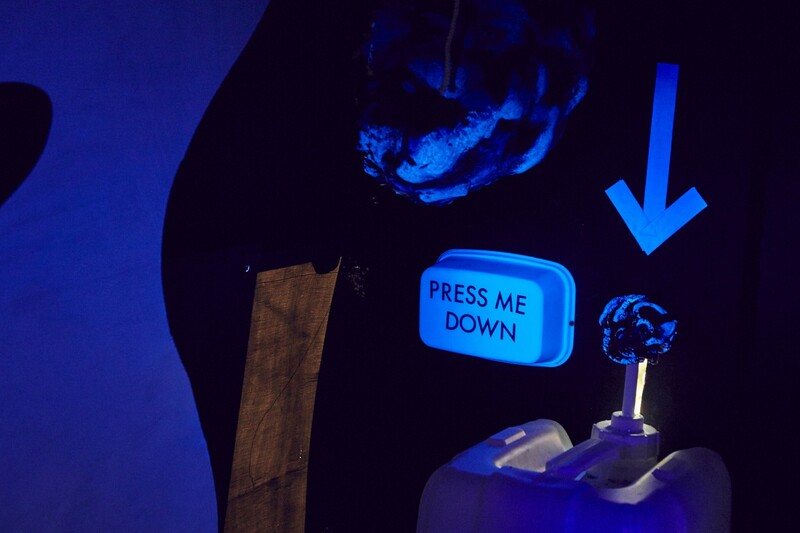 Entering the dark interior of the cell, people experienced a hidden world brought to life with strange shapes, peculiar moving objects, UV puppetry and mysterious sounds. 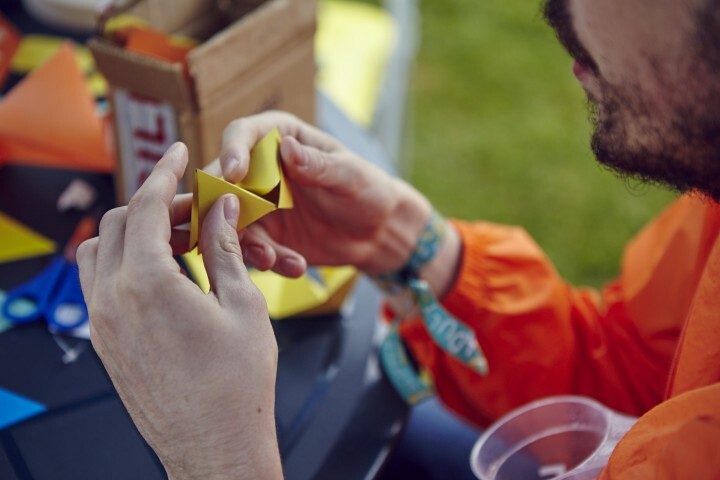 Outside the cell, researchers were on hand to help solve the mystery, using puppets in the daylight to reveal how DNA, RNA and proteins work, using paper shapes to demonstrate protein folding and discussing how cells and their genes can be manipulated in the lab. 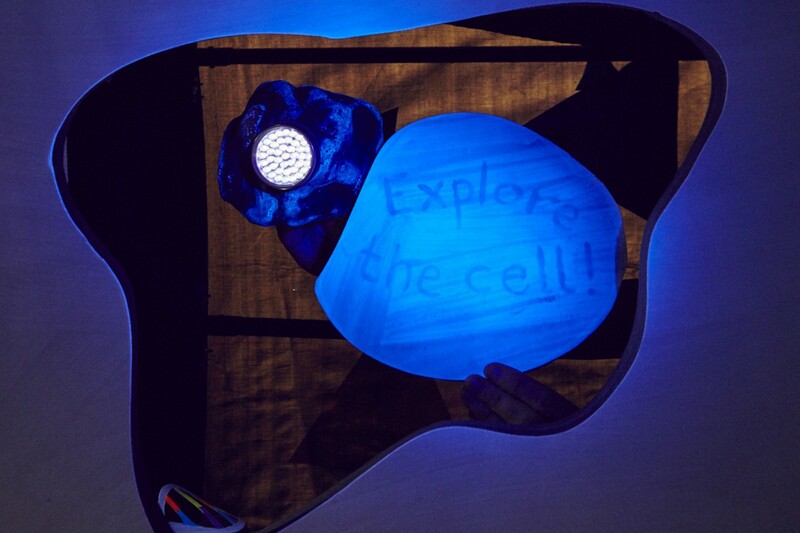 People could look through kaleidoscopic peep holes into the cell, listen out for curious noises from the interior and collect and measure goo oozing out – all ways to show how scientists experiment with cells to understand how they work. 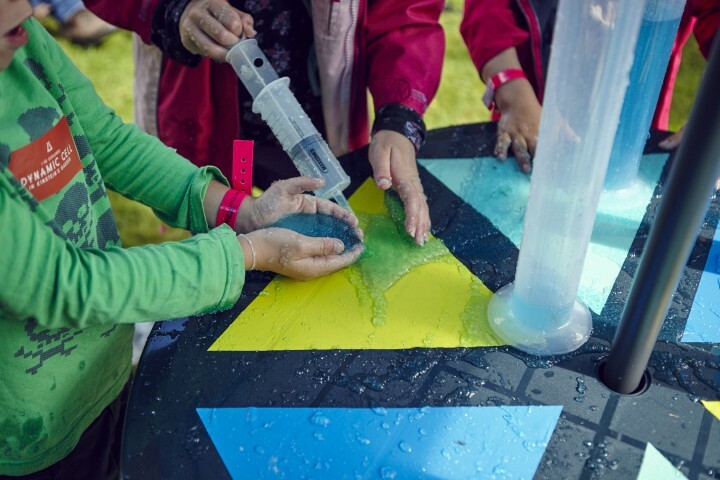 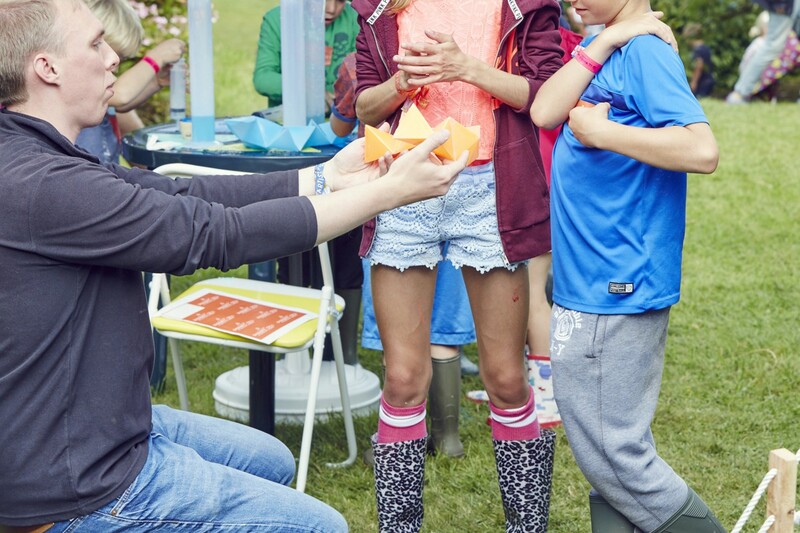 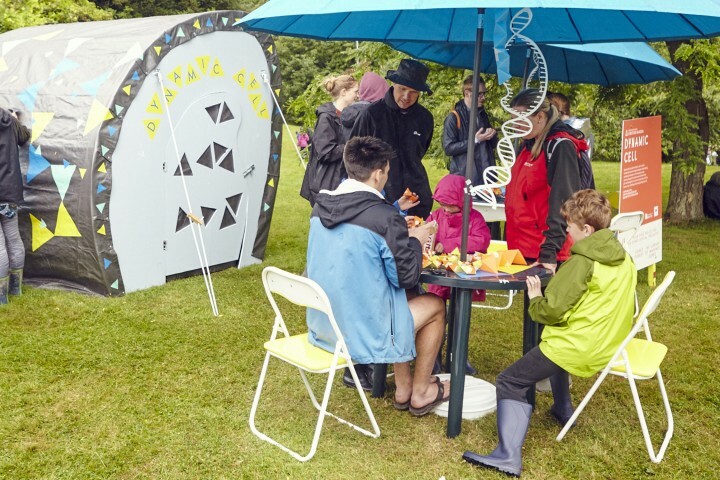 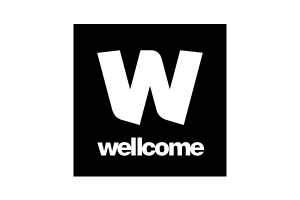 Dynamic Cell was supported by the Wellcome Trust, as part of a three-year award experimenting with new approaches to creative science engagement, and was presented for the first time in Einstein’s Garden at Green Man 2016. 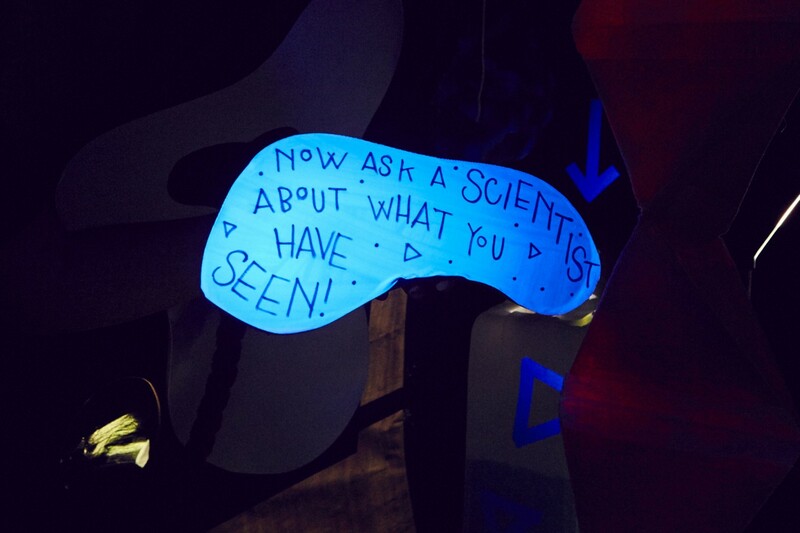 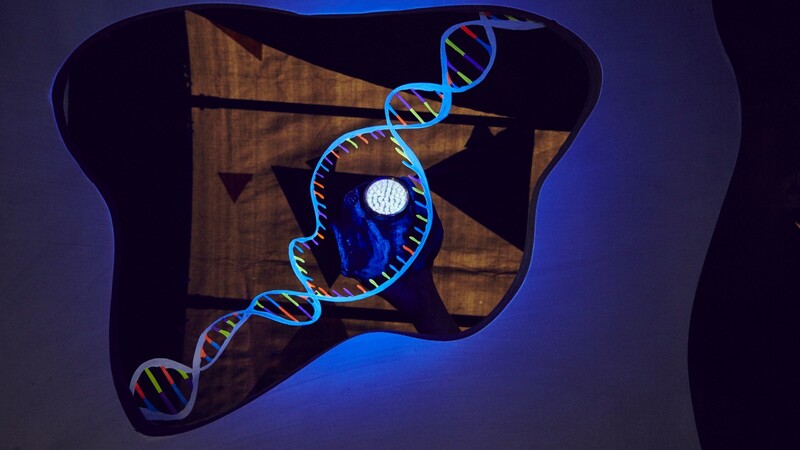 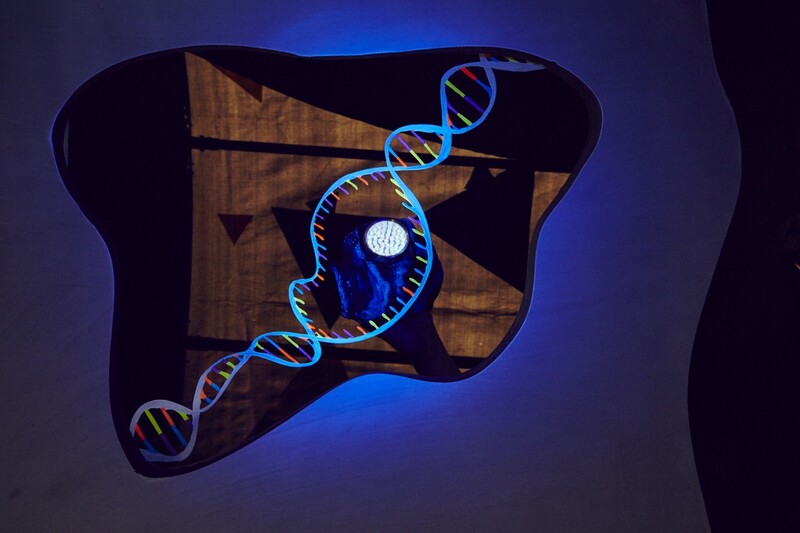 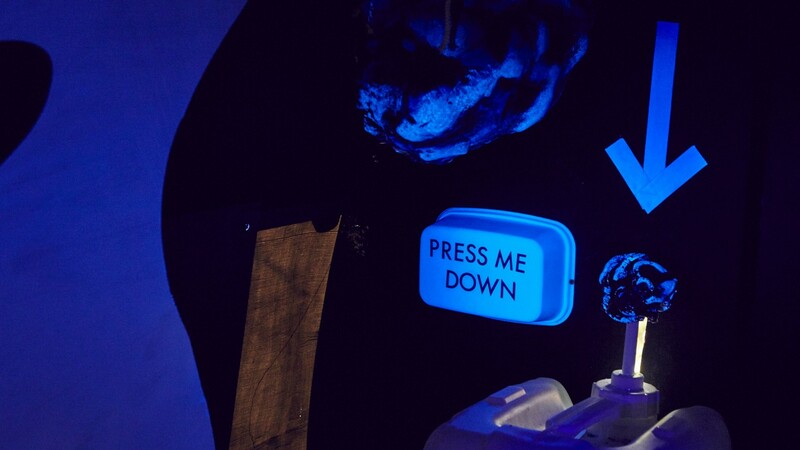 Dynamic Cell was produced by Einstein’s Garden in collaboration with scientists from the University of Bristol and puppet-maker and visual artist Emma Powell.